What is omnichannel and why does it matter to your business? The retail industry is no stranger to omnichannel. What started out as the buzzword du jour has proven to be more than a trend, but a piece of tech innovation that can truly benefit business owners. Perhaps one of the most important selling points of omnichannel technology is its adaptability, as it can be easily customised to meet the individual demands of its users. However, if you are a retailer in the market for a new system, you need to spend the time to understand what is omnichannel, what does it stand for and what options are available. Mobile technology has become so deeply embedded in our day-to-day lives, that it is difficult to imagine that only ten years ago the iPhone was being brought to market for the very first time. Modern shoppers spend an ever-increasing amount of time online, and as the platforms they use diversify, so do the chances of turning a click into a purchase. Consumers have come to expect the ability to purchase items online, track their order and pick up their items in store. It is the companies that get this balance right who succeed and stand out from the crowd. These new purchasing habits form the crux of why omnichannel technology is the future. Omnichannel is designed to integrate your online sales platform with your brick-and-mortar operation into one powerful system that ensures a frustration-free experience for your customers and provides you with all of the business information you need at the click of a button. A powerful omnichannel system keeps all of your data in one place. For your business, that means that operations can run smoothly between different locations, as crucial information such as stock levels, inventory and sales reports are kept up to date in real time. This also helps keep the personality of the brand consistent across the board. For staff, access to data enables them to provide an informed and efficient service to customers, which is likely to make a difference to your bottom line. A cloud-based system, like the one offered by Lightspeed, is a great solution for a setup with a dispersed workforce and multiple locations. Getting to know your customers is a key piece of the puzzle when establishing your client base. Customers are increasingly attracted by brands which invest in tailoring their services to each person that walks through their doors or browses their website. 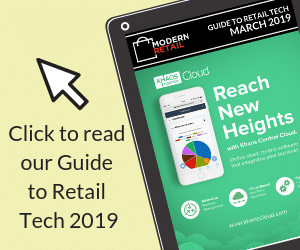 This means that getting to know the when, where, what and how of your customer’s shopping habits is no longer an option, but a necessity to compete in today’s retail market. Omnichannel can make all the difference in this area. The system has the capability to collect, track and store data from all the interactions a customer has with your company, be that online or in-store purchase history, social media activity, or more personal information such as birthdays. Using this insight to add that personal touch to your client marketing communication is bound to get you a better response rate and create additional opportunities to convert to a sale. It is hard to overstress the importance of client relationships. The brands that manage to withstand challenging times are those that have the support of loyal customers who keep coming back and telling their friends. In order to achieve brand loyalty, you need to make the customer journey as intuitive and frustration-free as possible. Omnichannel allows you to cater to the varied lifestyles and habits of your customers, as they have the freedom to come interact with your company and products instore, while also having 24/7 access to browse and shop from the comfort of their home using your online platform. Retailers can no longer afford to be behind the technology curve in the current economic climate. Understanding what is omnichannel and implementing it will help keep you on the same playing field as your competitors, but finding the setup that works best for you if the key to cutting through the noise with customers.